Former U.S. Secretary of State Hillary Clinton has expressed her support for genetically modified crops and crop biotechnology. 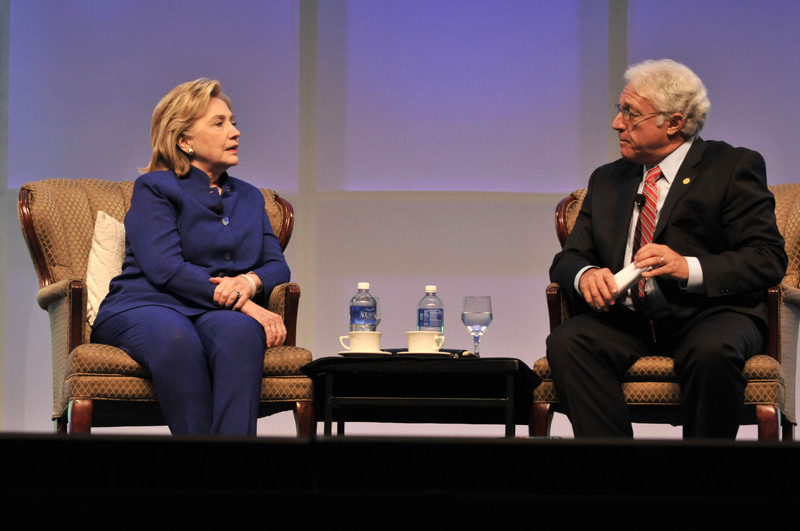 In a 65-minute keynote appearance at the Biotechnology Industry Organization (BIO) convention in San Diego in late June, Clinton conversed with Jim Greenwood, BIO president, on a wide range of topics including GMOs. Clinton noted that there are unwarranted fears surrounding GMOs because many people do not understand science or biotechnology and are easily swayed by code words and misguided perceptions. “Genetically modified sounds ‘Frankensteinish’ – drought resistant sounds really like something you want,” she said. Clinton’s full talk is available in the video embedded below. Her comments on biotechnology begin at approximately 29 minutes .